I have no words to explain this flavourful as well as a tasty dish. Easy to make simple dish. 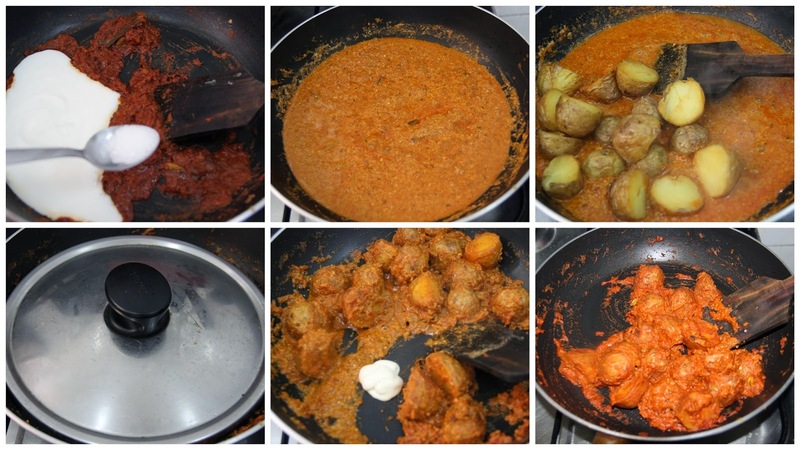 Baby potatoes cooked in yogurt gravy with masalas that goes well with Rotis, Naans and Rice. 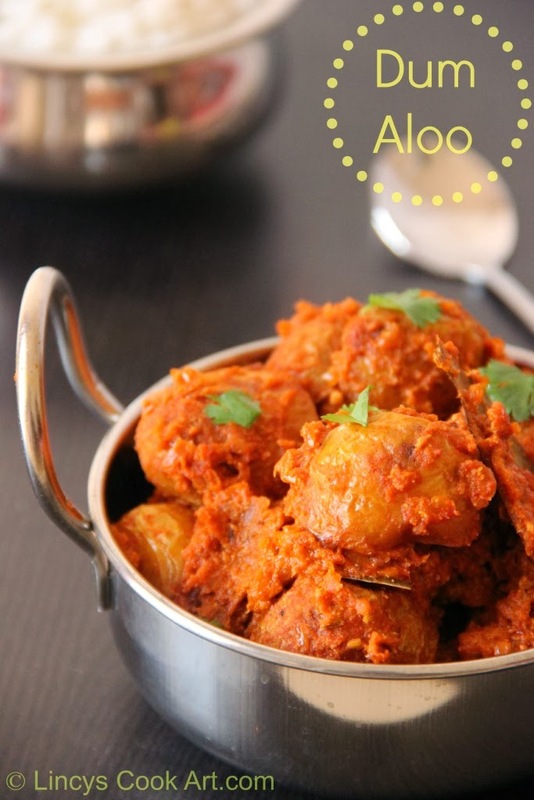 Dum Aloo is cooked under Dum or pressure. In this cooking method, the food is cooked under pressure in its own juices. Kashmiri cuisine is rich, flavourful and hot. Kashmiri's use very fragrant and hot spices to flavour their food .The best and most popular vegetarian dish from this cuisine is kashmiri dum aloo. Kashmiri dum aloo which is often served with the creamy and slightly sweet gravy in most of the restaurants are not the authentic kashmiri dum aloo, as tomatoes ,cream and cashew paste is not used to make kashmiri dum aloo. Kashmiri dum aloo is cooked with yogurt, fennel , ginger and a few spices, and while cooking on dum, the gravy is almost absorbed into the potatoes, and then the potatoes are served coated with spices a little fat and of-course no gravy. 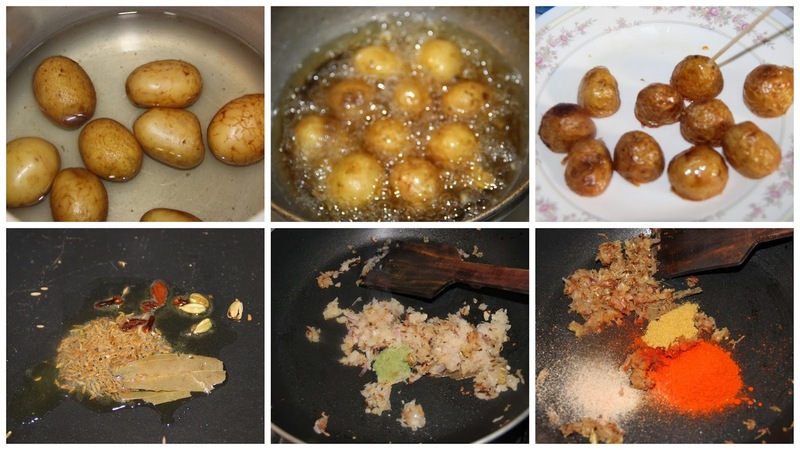 Wash potatoes and pressure cook them or cook them in an open pan with salt. Now cut the potatoes in to equal portions and peel the potatoes (peeling the skin is optional ) if you does not like the skin. Heat enough oil in a wide and deep pan and then add potatoes. Deep fry to slight golden colour. Prick them well with a toothpick/ fork/ skewer, so the potatoes will absorb all the flavours and masalas. When the potatoes are done, drain on a tissue paper and keep aside. Heat a teaspoon of ghee and oil in a pan. Add cloves, green cardamom, cinnamon, bay leaves, jeera and fennel seeds. Now add the grated onion and ginger garlic paste and cook till brown colour. Add chilli powder, coriander powder, Asafetida, salt, sugar, a cup of water and let it boil. Add beaten yogurt and saute for few seconds. Keep stirring. When the gravy starts boiling add fried potatoes and mix. Cover the pan with a lid and simmer for approximately 5 minutes. When the gravy thickens and potatoes will absorb almost all the gravy then its done. Add a teaspoon of cream and mix well and cook for a minute and put off the gas (optional). Now add the chopped fresh coriander and mix. Serve with naan, paratha or rice. Note: You can use fennel powder or seeds in this recipe if you are using fennel seeds use with jeera while tempering. If you are using fennel powder add when you add chilli powder in the gravy. Try to use medium sized baby potatoes. If you are using small baby potatoes do not cut the potatoes. You can make this recipe healthy by shallow frying the potatoes and add it into the gravy. This curry looks amazing I love it. Love the colour of the dish. Very tempting. Looks so tempting...Love your clicks..! Nice to connect with you! luks yum !! 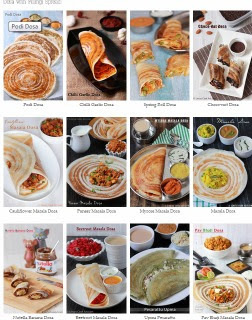 perfect..ahd tried this with paneer sometime back . Awesome Dum aloo..looks very tempting and flavourful. very tempting dish, visit me too dear. Very tempting Dum aloo and very attractive clicks. omg mouthwatering khasmiri dum aloo :) they look so tempting and delicious dear !! looks very tempting and love the colour!